With the decreasing population of animals, the demand for national parks has increased. One such national park named Tadoba was established in 1995 which is located in the Chandrapur district of Maharashtra. It is a huge park with an area coverage of 625.4 square kilometres. Out of this area, the majority part is given to the reserve park and a small area is given for the forest. There is absolutely no human disturbance and the animals are well protected. They are properly taken care of and any kind of harm to them is not tolerated. Located in the midst of the forest, Tadoba national park will surely leave you amazed. There are various species of mammals, reptiles, birds and aquatic animals that accommodate the park. The park is also a tiger reserve which saves the endangered species of the tiger- The Royal Bengal Tiger. The vegetation in the park is also abundant which makes it a perfect habitat for all the wildlife creatures. It is a perfect holiday destination for all the adventure junkies. The park had to cross many hurdles even before it was formed- there were villages surrounding the forest and also there are regular cases of forest fires. Even after all these obstacles, the park exists in his whole beauty. The forest has valleys, mountains and grasslands with breathtaking views. The lake that attracts most animals during the dry season is the Tadoba lake. Kosla lake and Andhari river are other attractions in the park. The hills that cover Tadoba national park are Chimur hills, Mohali and Kolsa ranges. The forest is majorly deciduous and also it has wetlands. The location is absolutely perfect for the survival of wildlife. The nearest city to the Tadoba national park is Chandrapur itself. The travelling is also not very difficult and hectic. Mohrali zone: Many tourists look out for this zone as this place has the most number of animals. Safari through this zone is beautiful as you can spit everything very clearly. Kolsa zone: If you are someone who loves plants more than animals, then this zone is for you. The is the actual forest zone and you will not find many animals here. But you will be able to find many trees and plants. North zone: This part is situated at a height of around two hundred and fifty metres. The area is covered with hills and it is easier to spot animals here. South zone: The main attraction of this zone is the Tadoba lake. You can find some aquatic animals here or animals that have come to drink water. Other than this not many animals can be spotted here. This place also leads to the agricultural land of the Tadoba national park. The lakes separate the two for proper growth. The name of the forest is given because of sacrifice was given by the God of Adivasis. Lord named ‘Tadoba or Taru’ got himself killed in a fight with a tiger. There is a temple in the park dedicated to Lord Taru. This is the mythological history of the Tadoba National Park. And ‘Andhari’ got its name from the Andhari river that flows through the forest. After the chief of tribal ‘Lord Taru’ died, the area was ruled by Gond King. The area was used for the sport known as hunting which rich people played in their free time. Before 1935, the area was basically a hunting ground. In 1935, the rulers realised the importance of conserving animals and therefore banned hunting. And twenty years after that the place was converted into a national park. Now, the national park also conserves some endangered species of animals and birds. The park has gained popularity over years due to its immense effort in conserving wildlife. It is one of the largest national parks in Mumbai and also has the most amazing variety of animals. There are around or more than hundred royal Bengal tigers in the park. They have been increasing since the day they were converted to a tiger reserve. The breeding of tigers happen on time and no interference is done during their breeding time. There are many species of deer in the park that will be seen around you while you roam in a jeep. Few small animals also find shelter here. In short, the national park is the ideal habitat to survive and therefore you can find many animals. Along with tigers, other animals that can be found here are hyenas, wild boars, barking deer, spotting deer, blue bulls, gaurs, four horned antelopes, common langurs, porcupines, Indian pangolins, sloth bear, rusty spotted cat, leopard, Sambar, mouse deer, ratel, wild pig, flying squirrel, small Indian civet and the palm civet. There are approximately 195-200 species of birds that can be seen flying around in the park. Be sure to carry your binoculars so that you can see them clearly. It is difficult and almost impossible to spot all of them, but you can see a few flying in the sky or sitting on a tree. Few species of birds that can be seen are crested serpent eagle, grey-headed fishing eagle, the shy jungle fowl, honey buzzard, paradise flycatcher, changeable hawk eagle, grey-headed fish eagle, peacock, stone curlew, crested treeswift, Indian Pitta, orange-headed thrush, Bronze-winged Jacana, lesser golden blacked woodpecker and black-naped blue flycatcher. Just take a look at these birds and your heart will feel overwhelmed. They are beautiful with their colours, different kind of wings and beaks. They complete the atmosphere of the forest. The park also resides various reptiles. Some of the reptiles are also endangered and Tadoba conserves them. You can see the reptiles in the rivers that are in the national park. You can see snakes on trees as well. They are well kept in the forest and therefore the numbers of species increase easily. The species of reptiles that can be found in the national park are common Indian monitor, python, terrapins, marsh crocodile, Russel’s, cobra and Indian star tortoise. The whole forest is filled with insects. Butterflies and spiders dominate the population. It is a sight to see because of the varied species of the same insect. Also, insects are not very easily noticeable. So, you have to be very cautious and alert to see them. Without binoculars, it is even more difficult to spot them. The species of butterflies that flutter around the forest are pansies, Mormons, monarchs and swordtails. These are the major species of butterflies. The total number of species that can be found here is around seventy-four. The various kind of spiders that can be found here is a giant wood spider, signature spider, wolf spider, redwood spider, lynx spider and crab spiders. Some of these are hunting spiders and some of them are normal. They are mostly seen during the rainy season. Other insects that can be spotted are great egg fly, dragonfly, danaid egg fly, jewel beetles, stick insects and praying mantis. It is absolutely beautiful to watch these colourful creatures flying around. The type of forest that builds Tadoba is dry deciduous. There are varieties of trees, plants and flowers that grow here. Every plant has some of the other useful benefits. Some plants also have medicinal use. Kind of plants grow here decides the sustainability of the animals. Varied varieties of trees and flowers make sure that the ecological cycle is balanced. There is enough vegetation for all the animals to survive easily. The flora of the park gives it a beautiful view and makes it even more attractive. There are many species of trees, teak and bamboo dominating the species. Other species that can be found here are bija, hald, salai, dhaudab, ain, semal, shisham, sisoo, Surya, shivan, sirus, tendu, bel, dhawada, beheda, chichwa, dhawada, Kusum, hirda, karaya gum, crepe myrtle, wodier tree, plum trees and Arjun trees. There is some special kind of trees that have properties other than providing food and shelter. The trees include- axle wood which is fire resistant, palas which is very vibrant and colourful, velvet bean which is used for treating Parkinson’s disease, bheria is an insect repellent and bija is used as a gum. So, the trees are a major part of the forest. There are various other plants here that have many useful advantages. All these combined protect the wildlife of Tadoba. They are an essential part of the park. Mohrali gate-This was the entrance which was used when the park was established. It is very old and has some amazing jeep safari experience. There are two rounds of safari that happen in a day, you have to slot yourself according to the timings and enjoy the safari. Kuswanda gate-The gate does not allow many vehicles to pass through. Only a certain number of jeeps can go per round. Kolara gate-Many people queue around this gate at it allows nine vehicles per round. Navegaon gate-This is the main entrance of the park and office is also near this gate. here, six vehicles are allowed per round and there are two rounds in a day. Pangdi gate-Not many use this gate as it is very far away from the park and only two vehicles are allowed to pass at one time. Zari gate-Same as the navegaon gate, zari also allows only six vehicles to pass per round. 2. Offer your prayers at Hanuman temple: Hanuman is one of the most known God in Hindu religion. Many people ho come to the park, visit the temple. Some visit it for praying and some visit it as a tourist attraction. The mandir is very beautiful as it is situated in the middle of the forest. 3. Pray at Shiv Mandir: Another great place for seeking blessings is this Shiv Mandir. Many people offer their prayers here. It is an amazing place to visit if you are on a family vacation, peaceful and calm. 4.Enjoy at Urjanagar lake: The national park is famous for its water bodies and the animals found there. You can find animals quenching their thirst near this lake. It also makes up for good photography. 5. Sightseeing at Tadoba lake: This lake is very huge and comprises around three hundred acres of the park. It is situated in the south zone and is one of the major tourist attractions. Animals can be spotted drinking water and some aquatic animals can be found here. 6. Bird watching:The national park is home to a variety of birds and interested people can only keep a watch on birds. Different birds with different structures will absolutely amaze you. Ornithologists will love this place. The main advantage is that the park also comprises of endangered species of birds. 7. Click amazing photos: The national park is one of its kind and so be sure that you carry a camera. The leopards and tigers are very photogenic and offer some great poses. The landscape of the park is also very beautiful and worthy of capture. The hills and rivers make for an amazing background. The insects and birds will add more colour to your capture. This place is any photographers paradise. 1. Mahakali temple: The goddess Mahakali is very important in the Hindu religion and therefore a popular tourist destination among Indians. It is not far from the national park and you can easily spend two hours near this temple. This place also makes up for good photography as the architecture is very beautiful and unique. The deity is amazing and the temple is always crowded. It is easier to catch a train from here and therefore there is no difficulty in travelling. If you are visiting Tadoba National park, then, you should really visit the temple and seek blessings. 2. Ancient caves: In Chandrapur, there are caves located and many tourists visit them for an adventurous experience. It is a great place for someone who loves bats as there are plenty of them. It is better if you have a guide with you, otherwise, you could get lost. Many tourists found fossil kind of things in the cane. The cave is very old and in the condition of getting some maintenance. You can click absolutely beautiful portraits here. It is not very far from the park and you can visit if you have had a morning safari. Avoid going during late evenings or night as it could be dangerous. 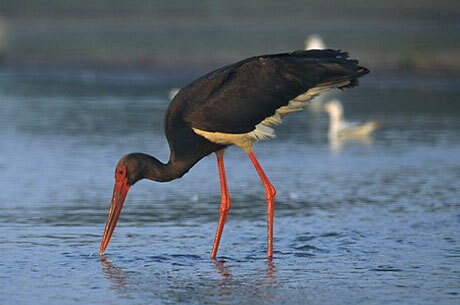 3.Chaprala Wildlife Sanctuary: Another place to explore wildlife is this sanctuary. It is a beautiful place with animals and birds roaming around. You can roam in jeeps there and spot some animals. The place is known for birds rather than animals. You can catch hold of really rare birds such as paradise flycatcher and eagle owl. There are many other birds as well. It is a great place for birdwatching. It is a one-time visit park and is near to Tadoba national park. It is a good addition to your list! 4.Bhadrawati Jain temple: Another place for Jain devotees. It is a great place to explore Jain culture and religion. You can see many gurus residing here. There are bhojanshalas to eat food. There are rooms that are well maintained. The temple also has a cow cattle and the architecture of the temple is beautiful. It near to the kali Mata temple and you can visit if you are in Tadoba. Tourists come here every year and the place is popular among Jains. It is a good place for accommodation as well. 5.Chandrapur fort: The fort belongs to the Gond rulers and is very old. The fort was built for their protection and still exists in its whole beauty. All the history lovers can take a look at this fort. If you have a local guide with you, then this place becomes more interesting. They will tell you about the history of the fort. It is in Chandrapur itself and you can easily visit it. 6.Nagpur: The place is really mesmerizing and popular for its oranges. Nagzira national park is one of the major attractions here. The nearest airport from Tadoba is Nagpur, so if you are getting down at the city, you can visit the places here and then heed back to the Tadoba national park. He destinations that you can visit here are Japanese rose garden, seminary hills, lonar lake, Dragon place Buddhist temple, Pratapgad fort and Sitabuldi Fort. These are the few of many destinations that you can explore in Nagpur. So if you have a few days before going back to your normal routine, then go to Nagpur. 7.Amravati: Another great city to visit and is situated 195 km away from Chandrapur. The place is best for its cultural heritage, you can explore the culture of Maharashtra here. The major tourist destinations here are Woods water park resort, wadali garden, ambadevi road, wadali talao, chatri talao, Jawahar gate fort, bhakti dam, Iskcon temple, Hanuman Mandir and shiv mandir. This place is known for its cultural and religious importance. Iskcon temple is one of the most popular destinations in Amravati. It is a very beautiful place and is also great with the nature department. Safari is the most fun thing to do in Tadoba national park. It is one of the major reason why the national park is popular. You can spot a variety of animals and birds roaming around. There are around six gates that lead to the jungle safari. The safari is closed from the month of June to October. And on a weekly basis, it is closed on Tuesdays. There are two slots of a journey that avails in the park. There are morning and afternoon timings. One safari takes approximately two hours to complete. The morning slot for the safari starts at six in the morning and ends by ten. The afternoon slot starts at three in the afternoon and ends at six in the evening. You have to book the safari at the office, so make sure you carry some cash and id proof. You cannot book any safari online. Therefore, reach the place before time so that you don’t miss out on anything. As mentioned earlier, the park is closed form June to October. So make sure you don’t plan your trip around this months. The best season to visit the national park is the summer season. The months of February, March, April and May are the most suitable months to spot wildlife and explore the forest. Tigers can also be easily spotted during these months and therefore plan the trip accordingly. As it is summer, the animals are in a constant hunt for food and water. This is the reason it is easier to spot animals. You can spot tigers, leopards, gaurs and deer to a large extent. If you are lucky enough you will also get to see a hunting process. The birds also surround themselves near water bodies, so, even they are easy to spot. Winter has fewer chances of spotting animals as they become very stable during those months. By air: If you wish to travel through a plane, book your tickets for Nagpur. It is around one hundred and forty kilometres away from the park and you will get taxis from the airport itself. 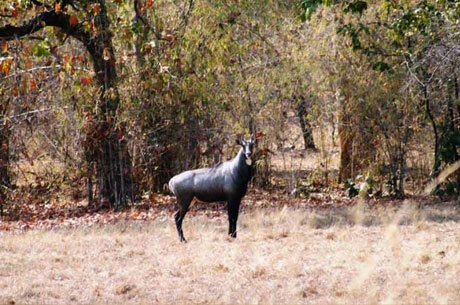 It is not very difficult to reach Tadoba from Nagpur, just a three-hour long drive. By rail:Chandrapur and Nagpur are two cities closest to the park if you want to travel by railways. It is the most convenient option for tourists living in India. Chandrapur is nearer but if you want to roam Nagpur, then, you can get down there. There are regular buses and taxis that will drop you to Tadoba national park. By road:Chandrapur and Chimur are the places that have bus stops nearer to the park. Other than that, cabs and taxis are available from the places nearby in Maharashtra. Do not carry food items if you want to feed animals. Their diet is completely different from ours and anything that is not suited for them will make animals sick. Keep your calm while travelling. It is a forest and there is a chance that an animal may chase your jeep. At that point, don’t start jumping. Any misbalance of the van could lead to an accident. Do not disturb the driver. If you are scared, do not touch the driver. He has been trained for these situations and will take you out safely. Make sure you are harassing the driver. Do not throw garbage around. The forest is the habitat of wildlife creatures and shouldn’t be destroyed. You should leave the garden as it was. Do not plan your trips during monsoons as the park is closed and there is not much to see around. During your visit, carry adequate cash so that you can enjoy your activities. Do not carry any valuables as it may get lost in the jungle. The responsibility is yours and not of jungle authorities. Wear comfortable clothes so that you can explore and enjoy properly. Sunscreen for your skin- The jungle is a place with a harsh atmosphere. Any kind of encounter with your skin can lead to skin damage. Carry a sunscreen that is suited for you so that you are prepared to face the climate. Scarf or hat for your hair-Dust will damage. To maintain your hair, you need to cover it with a scarf. It will also save you from the rays of the sun. Camera- With hills and rivers surrounding the forest, the place is appropriate for clicking pictures. The vegetation here is very vibrant and colourful. You can also click pictures of birds and butterflies. Tigers and leopards are known to be photogenic here. Shoes- Always go to national parks wearing shoes. You don’t want to hurt yourself by walking on the rocky terrains. Binoculars-This place is known for its wide varieties of birds and butterflies. It will be difficult to watch them without a pair of binoculars. These creatures are small and you need something that will help you to take a closer look. Comfortable clothes and sports shoes-The trails of the jungle are very rough and so it is very important that you wear or carry a pair of comfortable clothing. This particular thing will help you in enjoying your vacation. 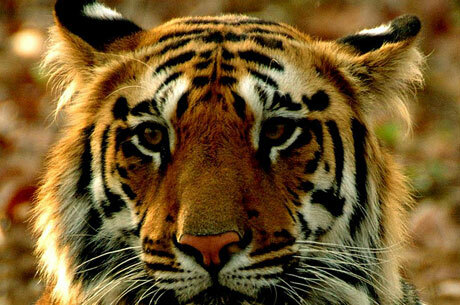 The park is a boon for tigers and is known as the ‘Tiger Capital Of India’. Its constant efforts to save endangered species is something that people like about the park. The landscape and the wildlife are perfectly balanced. It is a treat for the eyes to visualize such a beautiful place. Looking to book a Safari in Tadoba National Park ? Our wildlife experts are here to help.